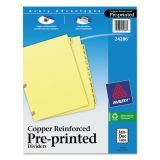 Copper reinforced holes provide extra tear resistance. 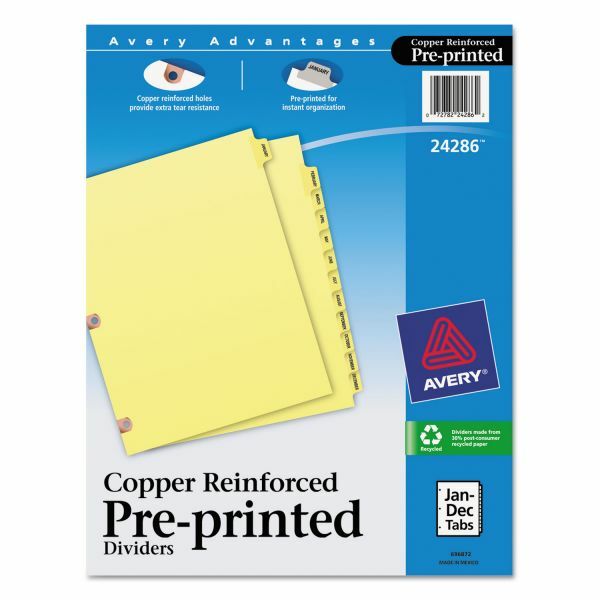 Avery Preprinted Laminated Tab Dividers w/Copper Reinforced Holes, 12-Tab, Letter - Premium index dividers feature copper-reinforced holes to provide extra tear resistance. Quality buff paper holds up to everyday use. 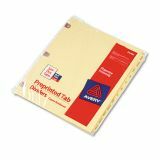 Laminated tabs feature bold black printing on front and back of tab for maximum readability. Rip-Proof reinforced tabs will not bend even under heavy usage. 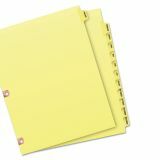 All preprinted laminated dividers are made with recycled paper. Monthly tabs range from January to December.